I get asked a lot by readers “Where do I start? What should I do first?” So I thought you may be thinking the same and am going to answer this very important question today. When it comes to boosting your fertility naturally, one of the most important things to do is build a healthy foundation which the rest of your program can work upon. A health foundation consists of Nutrition, Movement, and Balance. Nutrition is a very important component to a natural fertility program. Nutrition plays a role in hormonal balance, creating and building healthy cells and eggs, supplying the body with important nutrients to combat free radicals and DNA mutation, reducing the effects of stress on the body, creating healthy blood, and so much more. Nutrition is basically supplying your body with the building blocks for healthy fertility and a healthy baby. What you eat will be building your baby. 1. Eat one big salad a day. Make a large, colorful salad every day. Have fun with it; add nuts, cranberries, goat cheese, walnuts, kale, whatever you are craving at the moment. Just make sure it has greens in it. 2. Drink one fertility smoothie a day with fertility superfoods in it. To make it simple you may want to start with the 10-Day Fertility Smoothie Challenge. 3. Eat organic. This one step will help to cut out excess hormones from your diet. Chemicals and added hormones found in meats and dairy are a major cause of hormonal imbalance. Produce should be organic as well because pesticides/herbicides/etc. mimic estrogen in the body. 5. Get Essential Fatty Acids in your diet daily. Essential Fatty Acids (EFAs) are important in overall health. EFAs are necessary for proper endocrine function, heart function, and brain function; they also reduce inflammation and so much more. Make sure to get these in your diet every day. 1. Exercise daily – Exercise is so fantastic for your general health. It helps to reduce stress, clear out toxins, promote a healthy weight, burn fat, and increases circulation to the entire body. Exercise also helps to re-oxygenate the blood, allowing the body to get more oxygen and heal faster, function better. 2. Massage – Massage is another aspect of movement that is important for detoxification and increasing circulation to the uterus, ovaries, and eggs. Self Fertility Massage is an easy way to do this one. 4. Increase your circulation – There are different ways to increase circulation to the uterus. Some quick and effective ones are to take hot baths, do castor oil packs on the lower abdomen, and move around through yoga or exercise. Circulation can be compromised to the uterus as it shares the same blood flow as your legs. When we are stressed or sitting a lot, the circulation to the uterus can become compromised. Focusing on various ways of bringing fresh, oxygenated blood to your uterus is key. Balance is an important part of building a healthy fertility foundation in more ways than one. For conception to occur there has to be the correct balance between hormones at specific times. So a healthy endocrine system is important to hormonal balance. 1. Take 5 minutes a day to be in silence. Clearing the mind and relaxing is a powerful way to help reduce stress and bring balance to a busy day. 3. Nourish your endocrine system. The Natural Fertility Diet as well as fertility superfoods (such as Maca) can help to nourish and support the endocrine system. This system is affected not only by the stress in our daily lives but also the toxins in the environment. Using herbs and foods to nourish and support this system will help so it can function at its best and will keep the hormonal orchestra balanced and flowing smoothly. 4. Do something fun each week. Make sure to have fun and enjoy your life! Go to dance classes, make art, go on a date with your hubby… Whatever it is have fun and don’t be so serious all the time. 5. Give. Give something of yourself to others. Whether it be a smile, a complement, a donation, or your time. Give of yourself and you will be happy. This can bring balance to your life that you have never expected. Apples, bananas and carrots provide many different nutrients that can benefit overall and fertility health. They are great to include in your Fertility Diet. Am on Lupron, my first injection was may 2015 and second one June 2015. What can I do flush it out of my system? One way to promote cleansing and detoxification of the liver and uterus, as well as support their health, is through Fertility Cleansing. This might be considered if no longer on fertility medications. The guide Birth Control Recovery – How to Balance Your Hormones After Birth Control may be helpful in explaining the various ways to consider supporting the body in recovery after stopping birth control. Thank you for this article. You were reading my mind. I was just going to ask for where to start. With this remedy, is it possible to get pregnant? Each step outlined in this article is foundational when wishing to naturally support fertility health. One could achieve pregnancy by following these steps. This however is a natural fertility program of sorts, versus a remedy. If dealing with a specific fertility health issue, there may be other way to support the body in re-learning balance. Please reach out to our customer care team with specific product questions. Hi! I had an ectopic pregnancy last week and am on a medical treatment. Can I be healed naturally and can an ectopic pregnancy be avoided in future? I am very sorry you are going through this. How are you doing? Consider the guidance offered in the following article Healing From Ectopic Pregnancy when you have completed your treatment. The fallopian tubes are very delicate, but there may be ways to naturally support their health which you can learn in the article above. Best wishes for speedy healing and future health! When I was about 16 and 18 I had two abortions. From that moment on up until I was turning 31 yrs old My cycles becamse regular. I wanted to know how do I prepare for pregnacy? How do I get myself ready for pregnacy physically? 1. 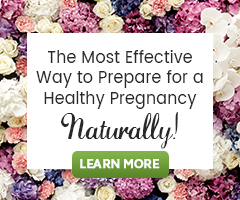 Fertility Cleansing-When you are preparing for conception, it may be a good idea to start out with a cleanse to renew your body, blood, and uterus. There are specific herbs that help to support the liver to getting rid of excess hormones and toxins. There are also herbs and nutrients that support the uterus to cleanse of old contents and stagnant blood. 2. Natural Fertility Diet-Nutrition plays a big roll when it comes to having a healthy body and reproductive system. The building blocks for hormones are found in the foods we eat. Antioxidants which help to protect the egg and sperm from free radicals are found in the foods that we eat. Just as nutrients in food can be helpful for fertility, there are some foods and chemicals added to foods that can be harmful for your fertility. 3. Whole Food Preconception Multivitamin or Whole food Prenatal Vitamin. If you have a healthy menstrual cycle you should not need to do much else. Continue to exercise for 30 min a day, 5 times a week. I realy appreciate your site, I’ve needed some answer’s for a long time, I’ve learned a lot here, I want to keep learning more, I am looking forward to being able to share a success story I have been trying everything I know for over 3 year’s, I hope I can find the answer, I appreciate all you have done to put all this information together, keep up your good work!